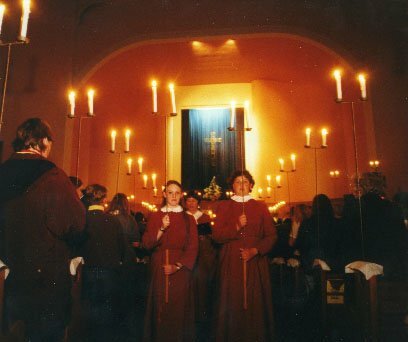 The musical tradition at First Church is maintained by a regular choir and frequent concert performances arranged by the Tay Music Trust and other organisations. 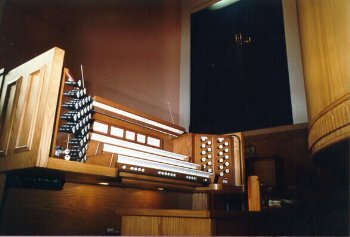 The fine acoustics of the building make it a superb place for music and visiting choirs and ensembles often to make it their Invercargill venue. 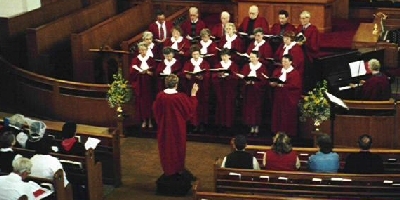 The Choir practices on Thursdays nights, 7.00 - 8.15pm and again on Sunday mornings before the Worship Service. There are about 20 Choir Members but new members are always welcome and are invited to contact the Choir Director Sherry Shelton ( phone (03) 2128816). The Choir processing out after the Christmas Eve Candlelight Service. The Rodgers 940 electronic organ and a fine quality Yamaha piano provide the support for congregational singing and also serve as instruments worthy of concert performance.